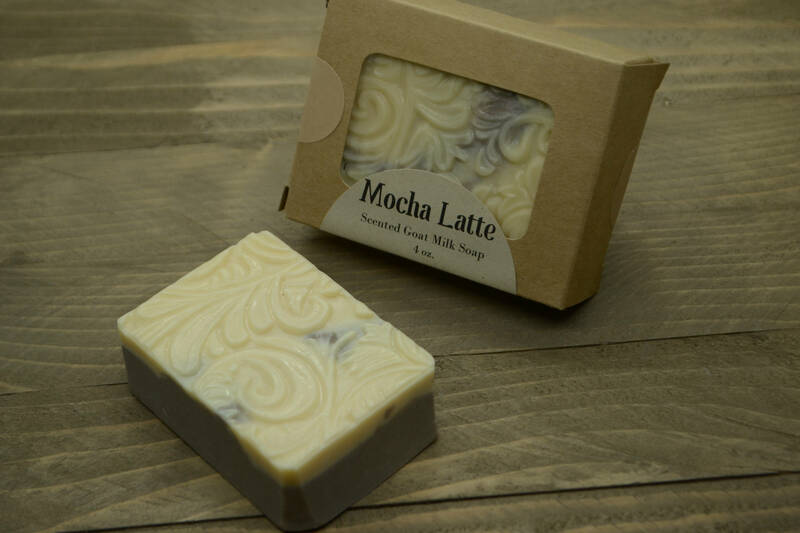 Hand-poured with an elegant swirl pattern, these mocha latte scented soaps take all the best of the coffee house and pack it into a single bar of soap without the caffeine buzz. 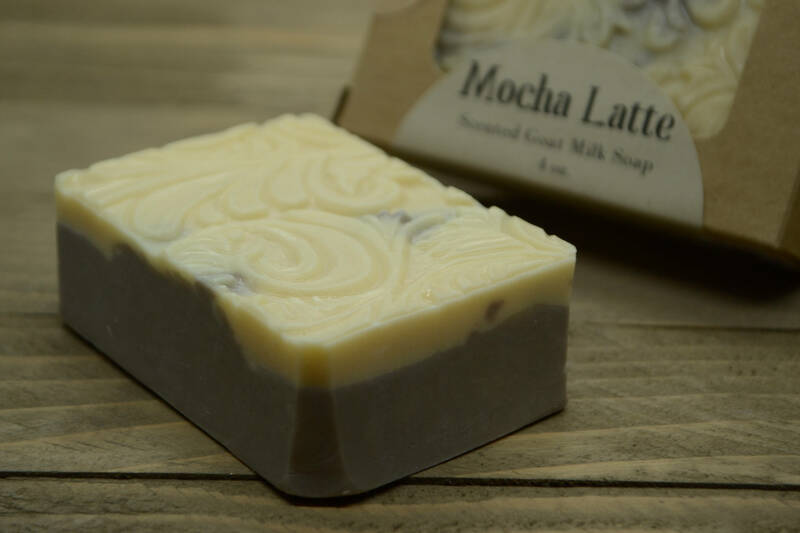 Infused with chocolate, coffee and vanilla, these goat milk soaps are a delight for coffee lovers and coffee house fans. Beautiful soap, nicely packaged. Bought it for a gift, but it smells wonderful!